Good news: there's a simple way to reduce those fatty cells. Fat doesn't just sit on top of your bones — according to recent research it can also be found inside of your bone marrow too, and running can help shrink it. According to Dr. Maya Styner, the study's lead researcher and an assistant professor of endocrinology and metabolism at the University of North Carolina at Chapel Hill, exercise has the ability to improve bone quality, particularly in obese mice. 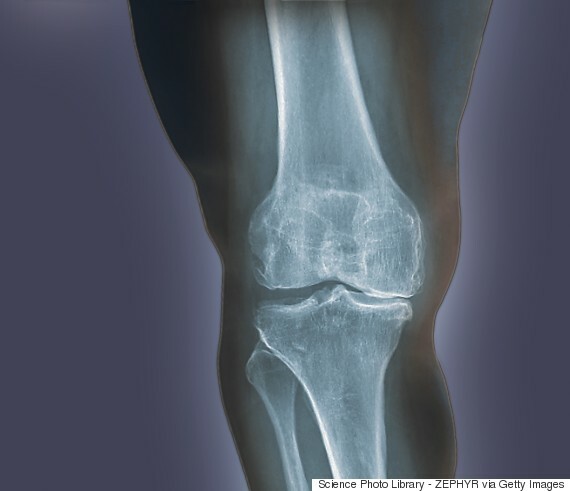 Though the research on mice is not directly translated to human results, Styner says, "The kinds of stem cells that produce bone and fat in mice are the same kind that produce bone and fat in humans." Marrow is the spongy tissue found inside some of your bones and is comprised of stem cells, nerves, blood vessels and fat. In healthy adults, bone marrow is half red and half yellow. The yellow portion of bone marrow is used to store fats and provide sustenance required for bone function. In the event of severe blood loss or fever, yellow marrow can turn red. Styner's study suggests that, like other types of body fat, marrow fat can be used as a source of energy. "There's been intense interest in marrow fat because it's highly associated with states of low bone density, but scientists still haven't understood its physiologic purpose," said Styner. "We know that exercise has a profound effect on fat elsewhere in the body, and we wanted to use exercise as a tool to understand the fat in the marrow." "One of the main clinical implications of this research is that exercise is not just good, but amazing for bone health." The study, which looked at the marrow fat in mice, found after six weeks obese mice who ran on a wheel had a significant reduction in the size of their fat cells, and in some cases appeared identical to lean mice. "One of the main clinical implications of this research is that exercise is not just good, but amazing for bone health," said Styner. "With obesity, it seems that you get even more bone formation from exercise. Our studies of bone biomechanics show that the quality and the strength of the bone is significantly increased with exercise and even more so in the obese exercisers."